This is a very common and widespread bird species. 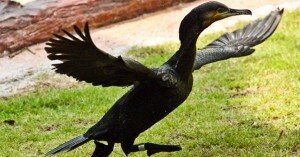 The Great Cormorant can dive to considerable depths, but often feeds in shallow water. It frequently brings prey to the surface. It breeds mainly on coasts, nesting on cliffs or in trees. 3-4 eggs are laid in a nest of seaweed or twigs. Diet: Its diet consists of a wide variety of fish. Distribution: It is found across Africa, Asia, Europe and the Atlantic coast of North America. Habitat: Its habitat is areas along the sea, in estuaries, and on freshwater lakes and rivers. 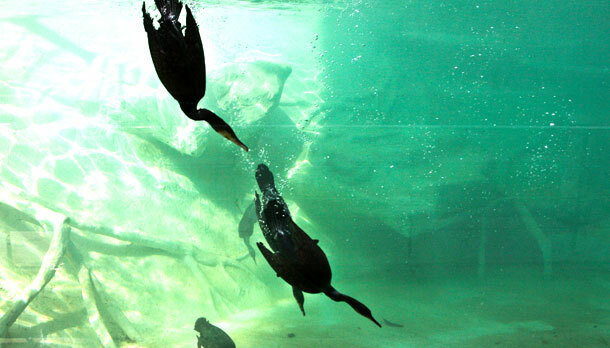 Khao Kheow Open Zoo one of the best attractions of Bangkok has many species of Cormorant. If you are in Thailand for an adventure with your family, Khao Kheow Open Zoo Forest is perfect place to visit.